Something I say probably more than I should being a 25 year old adult. It's true I use this sign of a promise and trust with both my friends and my boyfriend (as much as he hates it!) all the time and have done for years. So I fell in love with this necklace as soon as I saw it. You may have spotted this on my Instagram earlier in the week, I've had it for a while now and worn it a good few times but haven't shared it with you guys yet ... naughty Kirstie! Daisy-Mae Jewellery is a UK based jewellery company which was created over 2 years ago in April 2013. Daisy-Mae Martin handmakes the majority of the pieces and has everything from anklets to macaroon storage pots (they are adorable) on her gorgeous site. 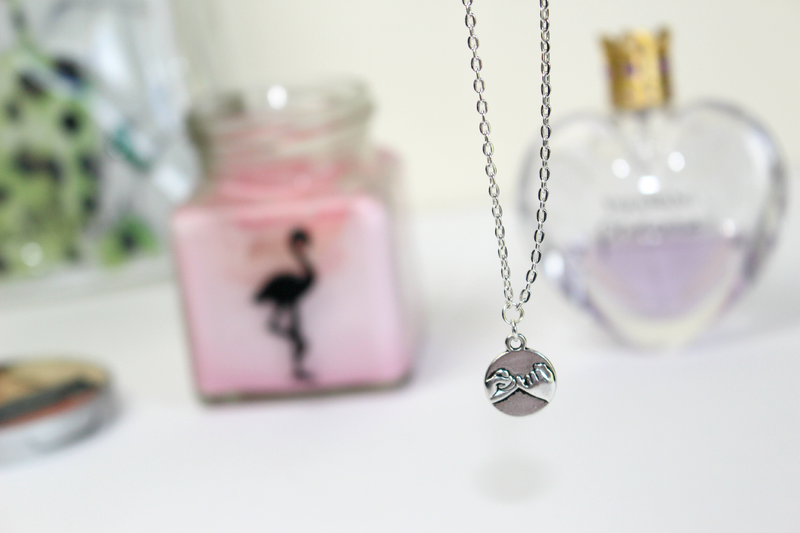 The pinky promise necklace is only £4.50.... which I cannot believe. What an absoulte barry bargain. Yes, these aren't real silver but as a cute little statement to snazz up your outfit these are a total steal. The chain length is 18in and you can see whereabouts it sits - here in my photo. A perfect present for a bestie or maybe even a little treat for yourself, I for one am going to be heading back to this site when it's birthday and Christmas season! What a gorgeous necklace! Its so pretty and simple! That design is so cute. This is so cute! I've loved Daisy-Mae Jewellery for a while she does so many pretty things!